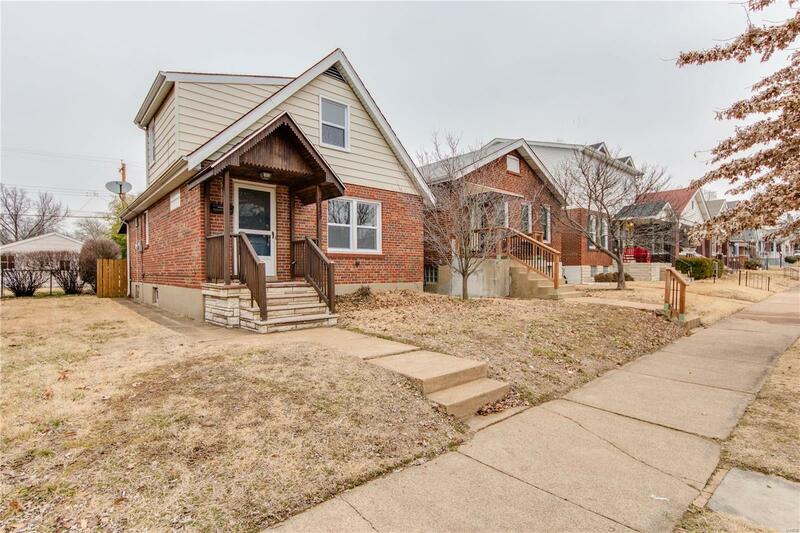 Charming 3 bedroom 2 bath home in the sought after SOHA neighborhood. Looking for Space..this one has a ton with all 3 levels finished! Home features large living room with hardwood floors, main floor bedroom and main floor bath. Bath is spacious and has been updated with marble style tile and marble vanity top, jacuzzi tub. Kitchen is updated with tile and back splash, stainless appliances. Upstairs you will find two more spacious rooms that can be bedrooms or a sitting room and a bedroom (the bedroom is a walk through right now but seller is willing to put up wall to make it a true 3 bedrooms). The walk out lower level is also partially finished with a separate laundry room, bath and utility/workshop room. The backyard oasis has a large deck, level fenced in yard, & a storage shed. New Vinyl windows 11/18. Located just one block west of the Macklind business district, walk to Russell's Lola Jeans' The MAC, Copper Pig, and so many more.